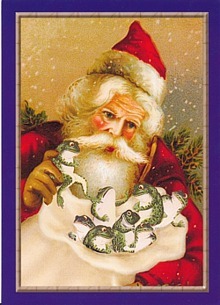 Are you hoping Santa will bring you frogs for Christmas?  These handsome frog Christmas cards are sure to get a double-take and a good chuckle! A Victorian-style Santa holds a bag full of frogs, and is holding one up to show to you. Inside, there is a black-and-white image of three little frogs with their Christmas presents (see lower photo, below). The inside message says: "Hope Santa brings you the hoppiest Christmas ever!" 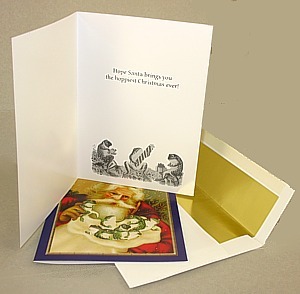 You get a box of 10 cards, with 10 elegant gold-foil lined envelopes. Cards are about 5"x7".